How much is Jimmy Goldstein Worth? Jimmy Goldstein net worth: Jimmy Goldstein is an American real estate developer and NBA superfan who has a net worth of $300 million. 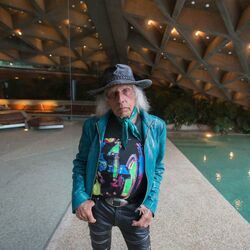 James F. Goldstein was born on January 5, 1940 in Milwaukee, Wisconsin. His father owned a department store in Racine called Zahn's. He attended Stanford University then got an MBA at UCLA. After graduating from UCLA in 1964 he joined a company called Rammco Investment Corporation. Rammco made a fortune in the late 60s buying cheap farmland on the outskirts of LA then developing it into neighborhoods. Jimmy's job was to find acquisition targets in Riverside and San Bernardino. Through this job, Jimmy was exposed to the surprisingly-lucrative world of mobile home park ownership. In the early 1980s, Jimmy formed his own real estate investment company and set about acquiring properties. To this day he reportedly owns at least a dozen mobile home parks in both Northern and Southern California which provides his primary source of income. For example, in 2007 he bought a mobile home park in Carson, California for $23 million, using $18 million worth of financing. Jimmy has stirred controversy with his management style at some of these mobile home parks. Mobile home parks are typically rent controlled but Jimmy has consistently fought to raise rents at his properties. He has successfully sued several cities that attempted to block his rent increases. He has also stirred trouble by using an 1893 law that allows landowners to subdivide their properties into separate cities. Using this strategy, Jimmy has been able to force his tenants to either buy their properties from Jimmy or move out, at which point he is free to raise rents. In some interviews, Jimmy has implied that he sold the land underneath what eventually became the uber-opulent Century City mall, but this is unconfirmed. Jimmy's business card reads "Fashion, Architecture, Basketball". 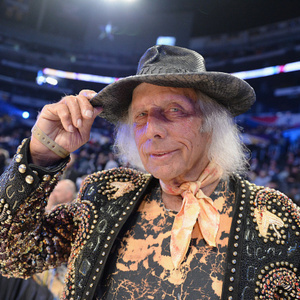 Goldstein is probably most famous for being a permanent fixture at NBA games where he is seen in the best seats wearing extremely gaudy outfits. He typically attends over 100 games a season both in his home state of California and all around the country. He can be seen on sidelines usually wearing outrageous outfits. Jimmy reportedly spends over $500 thousand dollars every year to purchase sports tickets and travel to games. He has season ticket floor seats at both LA Lakers and LA Clippers games. Jimmy is also famous for owning an opulent house in the Hollywood Hills. The house, which is called the "Sheats Goldstein Residence" was designed by famous architect John Lautner. It was built in 1963. Jimmy purchased it in 1972 for $185,001. That's the same as $1 million in today's dollars. The previous owners did not maintain the property, so Goldstein reached out to Lautner to help him restore it to its original glory. Over time he also acquired nearby lots to create a four-acre private jungle in the middle of prime Beverly Hills. The house has been featured in many film and television productions, most notably The Big Lebowski and Charlie's Angels. The property has an "infinity tennis court" on a connected lot that overlooks the Los Angeles skyline. Directly below the tennis court is an underground fully functioning nightclub called "Club James". The club has hosted many many celebrities. Rihanna held her 27th birthday party there, featuring attendees such as Mick Jagger, Leonardo DiCaprio and many more. If it was ever put on the open market, the property would likely be worth north of $80 million. If you were thinking of buying someday, unfortunately you're out of luck because Jimmy is donating the mansion to the LACMA Museum after his death. So you'll be able to take a tour!